Bamberg, SC previously partnered with Smart Growth America to receive a USDA Rural Development-funded technical assistance workshop. In 2019 and 2020, we will partner with six rural communities—including return visits to two places we worked with in the past—to deliver technical assistance workshops aimed at tackling their specific economic, fiscal, and housing needs to help them prosper. Creating a true sense of place is as important for the prosperity of small towns as it is for larger cities. Our staff collectively has decades of experience working with rural places to meet their unique challenges like identifying assets to spur the local economy, recruiting the next generation of workers and residents, and creating affordable housing. With this new assistance, we are offering three different workshops to six communities to help them tackle their communities’ most pressing development challenges: fiscal health, broadband connectivity, and housing. Atmore, Alabama: The success of Atmore and the Poarch Band of Creek Indians—headquartered in Atmore—is intertwined. This workshop offers an opportunity for the leadership of both entities to work together to achieve a shared vision and prosperity. Together, they are making some critical decisions about relocating and expanding community facilities as well as identifying locations for future development. 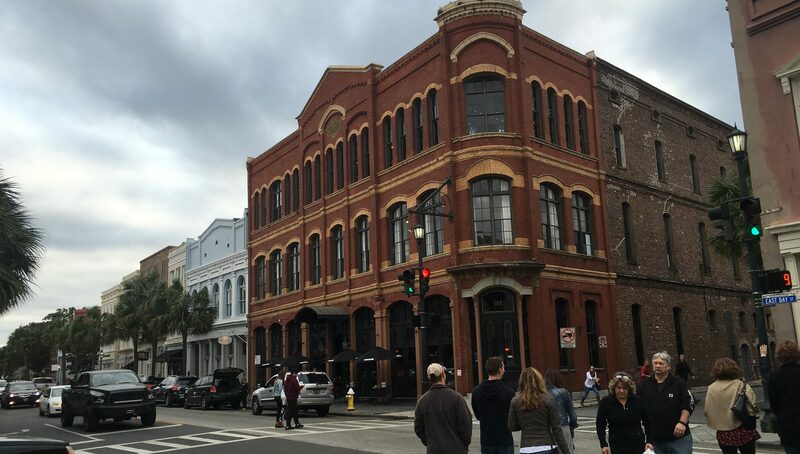 As it does so, the community’s historic downtown remains a potent economic asset that it is looking to have listed on the National Register of Historic Places. Ruston, Louisiana: Home to Louisiana Tech University and in close proximity to Grambling State University, Ruston has a vibrant arts and culture scene including an 18-block historic district with several theaters. The community plans to fully develop its arts scene, leveraging its unique cultural and historic amenities, while continuing to foster strong connections with Louisiana Tech and Grambling State. All of these efforts will move the community towards an even more vibrant local economy. Wilton, Maine: Wilton has several historic buildings within its borders and a unique manufacturing story—it is home to Maine’s first cotton mill and the first toothpick factory. 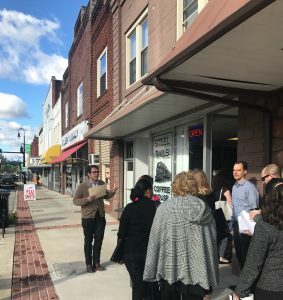 As the local economy changes, the town hopes to leverage its history to attract new visitors by redeveloping vacant buildings into new residential units and commercial spaces. Natchez, Mississippi: After recently completing its downtown master plan, Natchez recognized the need to recruit location independent businesses and workers within its borders. Proactively, the community realized that reliable high speed broadband Internet access is a critical piece of making that happen. Natchez wants to improve its existing broadband service while focusing on downtown amenities to market to and attract these new businesses and workers. Tucker County, West Virginia: The county seeks to leverage its access to the Monongahela National Forest and other natural resources to position itself as a recreational destination for vacationers from Northern Virginia. One local effort in this arena is the restoration of a historic opera house into a state-of-the-art theater and performance hall for the community and visitors. This assistance will build on previous work with Tucker County around regional planning focused on broadband Internet access—particularly in its several historic downtowns—to bring in new businesses, residents, and visitors. A walking tour at a previous Cool & Connected workshop in Erwin, TN. Unicoi County (Town of Erwin), Tennessee: Since our previous visit, Erwin has developed high speed broadband access that has helped reduce the downtown vacancy (by storefront) by 50 percent. Ready to expand on its partnership with Smart Growth America, the community is now looking to create additional housing within Erwin to allow the local workforce the opportunity to live where they work, regardless of income. We will work with Erwin and the greater county to create a plan for infill development and building reuse that results in additional housing units. This new round of assistance builds on previous successful work with local communities under other federal grant programs. Each community receives a number of preparatory calls, a two-day visit by our experts, and a detailed memo with actionable next steps for the community to take. Over the next year, the six communities provide us with three updates on their progress. Finally, each community will send two representatives to Washington, DC for a meeting early next year to share their individual experiences; discuss successes and failures; and learn from our entire team of experts, each other, and from USDA experts. The workshops are funded at no cost to the host community by a grant that Smart Growth America (SGA) received through USDA’s Rural Community Development Initiative (RCDI) program. To learn more about Smart Growth America’s work under this program, please visit this page. Interested in bringing one of the above workshops to your own community? For more information on our technical assistance program and how your community can request assistance from us on a variety of land use, development and transportation challenges, please visit this page.